The Commonwealth Government has refused FOI requests from Dr Samara McPhedran, (Senior Research Fellow at Griffith University’s Violence Research and Prevention Program,) submitted a FOI in March 2016 to access the documents. The FOI request was denied by Stephen Bouwhuis, Assistant Secretary at the Attorney-General’s Department. Mr Bouwhuis confirmed the documents existed, however refused to disclose it. He said in a letter to McPhedran, “I do not consider that it would be in the public interest to disclose this document”. “The information contained in the document was communicated to the Commonwealth Attorney-General’s Department by or on behalf of state or territory governments on a confidential basis, for the purposes of discussions about the proposed agreement,” he said in the letter. So if it is just to improve the wording in the legislation why object to it being released to a formal reasonable FOI request? We are the section of the lawful community that see nothing wrong with Minister Byrne firing his .22 calibre rifle at rats in the roof cavity of his Rockhampton home. That is what RATSHOT is intended to be for. 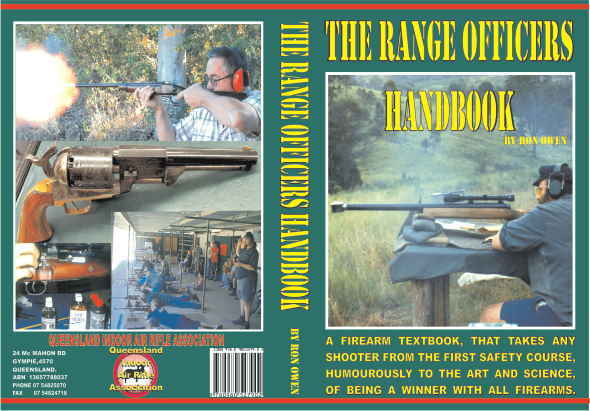 Even discharging his firearm in front of his wife would not shock us at all..
3.He was then asked, “Why then was Weapons Licencing compiling a list of all lever action owners in Queensland” his answer was, “Just to find out how many licensed shooters had them in Queensland. He said that, “The Commonwealth might proclaim an amnesty but Queensland had no dollars in their budget to support it and no one had any money for “Buy Backs”, that was just media hype. If the Police Minister goes back on those words today, he may lose a huge amount of credibility, with the shooters of Queensland. As the Queensland Parliament, like the Commonwealth parliament is on a knifes edge majority, which could fall with the removal of the Katter Party support without even making it to an election. If an election is called disappointed firearm owners could easily ensure that Labour was not re-elected to the government of Queensland. Shooters would still be the biggest losers, as we can never trust the National/Liberals to honour a promise and would have to wait until one of the new minor political movements has a majority. So please contact your local members and Minister Bill Byrne before they make firm decisions on this matter. Obviously, from the above spoken words, they have been having in-depth discussions on the subject of banning lever actions by re-categorising them as Cat C. It is only that their majority is so fine and they cannot afford to lose a vote that is protecting lever action owners and other firearm owners from confiscations. It is always the balance of numbers, the major parties will never do anything for us because, we have rights, or we are good people, they want power, and they want the people without any power. They have read Mao Zte Tung maxim, “Power comes from the barrel of a Gun” so they want all of the Guns and all of the Power. We have succeeded before, lets do it again even if you have written already please do it again and invite all your friends and family to send an email, a facebook message, a phone call or a tweet. Here is a link to all State and Federal Police Minister don’t forget to flick your local member a copy as well as he should be made aware of what NOT to vote for. I am a licenced firearm owner, to keep that licence, I have to be a model citizen. I will never give my vote for any political party that imposes restrictions on the firearm ownership by good citizens. Furthermore, I will use all the resources at my disposal to campaign and influence voters to make the same choice as myself. Please write an email to Bill Byrne the Police Minister and forward it on to your local member and all the other members of cabinet. Please use these current emails on our website’s electronic list to communicate your views to him. Be firm, tell him you want horrendous impositions like PTA fees and waiting for weeks removed and no further impositions, or restrictions placed on your sport and hobby. It does not need anything fancy just a note to tell him that you and your family and friends will never vote for them if they do not unwind the current Gun laws. Every small contact with their office is another number for our side, they count and remember. We have the numbers we must use them for doing something good.Ron Owen. 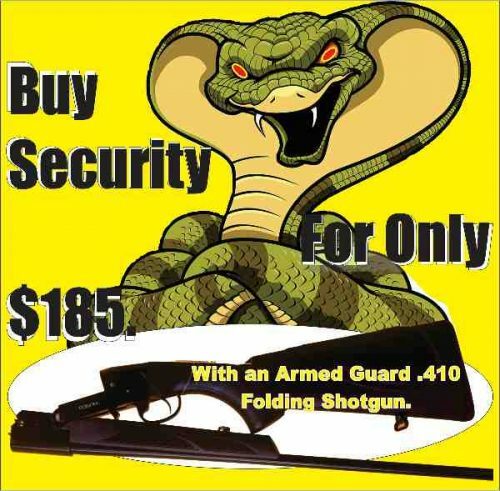 Best Priced Winchester firearms, synthetic stock, detachable magazine, 24 inch barrels $770. while current stocks last. Includes Choke tubes for the Emerald Lever Action 12 g Shotgun $755. plus post. Lithgow Crossover .22 LR $860. Left hand available slightly more expensive. Sorry sold out of the Sporters at $399. 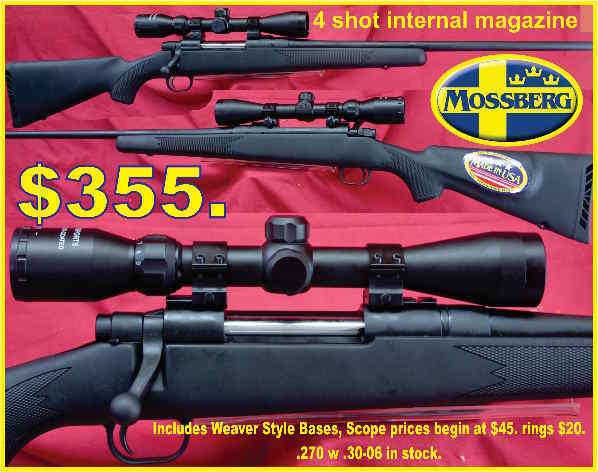 Add $90 for a Trophy 3-9x 40 scope package includes Weaver style rings. Tikka T3 Synthetic $945. Layby $990. While Current Stock lasts. Phone for the best price if you would like Stainless or Walnut, or laminated stocks which of course are more expensive.